The release of Iranian-Americans in the recent prisoner exchange between Iran and the United States has given hope to the family of prisoner of conscience Saeed Malekpour that he too might also be freed. “When I heard the news about the release of four Iranian-Americans it made me very happy. I think there’s room for a lot of hope these days... I hope my brother will be freed, too. Saeed has been in prison for seven-and-a-half years without leaving on furlough even for a single day,” Maryam Malekpour told the International Campaign for Human Rights in Iran. 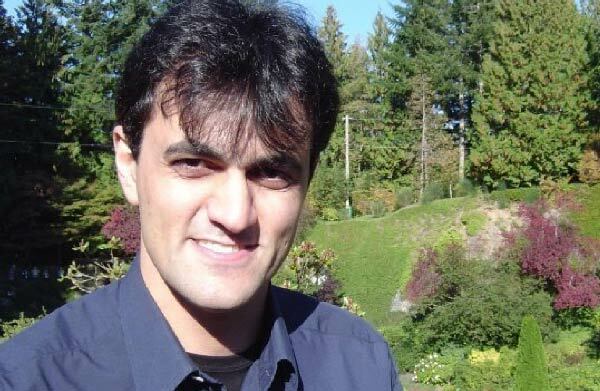 Saeed Malekpour, 39, is a permanent resident of Canada who worked there as a computer web developer. He was arrested in 2008 during a visit to Iran and charged with “insulting the sacred” for allegedly creating a pornographic website. He was sentenced to death, a sentence that was later reduced to life in prison. Last month Maryam Malekpour and Parastoo Azizi, the daughter of Iranian-born Canadian resident writer and filmmaker Mostafa Azizi, who is serving an eight-and-a-half year sentence in Evin Prison, wrote a letter to Canada’s new Prime Minister, Justin Trudeau, calling on him to do what he can to secure the freedom of their loved ones. “I wrote the letter to Mr. Trudeau to ask him not to forget that there are two Iranian-Canadian political prisoners in Iran,” Maryam Malekpour told the Campaign. “Mr. Trudeau always says that he considers human rights a priority so in my letter I asked him to prove it. If he wants to reestablish relations with Iran, he should pursue my brother’s case. Saeed is innocent and there’s no proof that he committed anything he has been accused of,” she added. In the previous Canadian administration, John Baird, the former foreign minister in the Stephen Harper administration, twice issued statements calling for Saeed’s release, and referred to him in his statements as “a Canadian citizen,” even though he was not technically a citizen but a permanent resident; he applied for citizenship just before going to Iran, Maryam noted. Saeed Malekpour made a televised “confession” after being tortured during the first months in detention. The Islamic Republic’s practice of eliciting false confessions under the threat of torture or actual torture, and then broadcasting these “confessions” on the state-run Islamic Republic of Iran Broadcasting (IRIB), in order to publicly defame those it is persecuting, has been well documented by human rights groups. “A large portion of my confession was extracted under pressure, physical and psychological torture, threats to myself and my family, and false promises of immediate release upon giving a false confession to whatever the interrogators dictated,” Malekpour said in a letter from prison in March 2010.